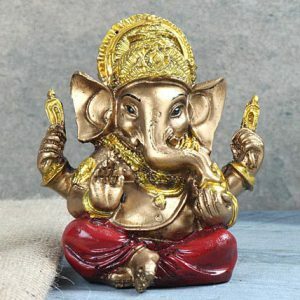 This idol of Lord Ganesha is in red and golden color which is symbolizing the time of festivity. Diwali is our greatest occasion and on this occasion, we all worship Lord Ganesha in office and in home. Therefore, as a gift among employees or clients, this piece would be admired for sure.